The game, originally created in 1993 by Sid Meier, has since been iterated five times. 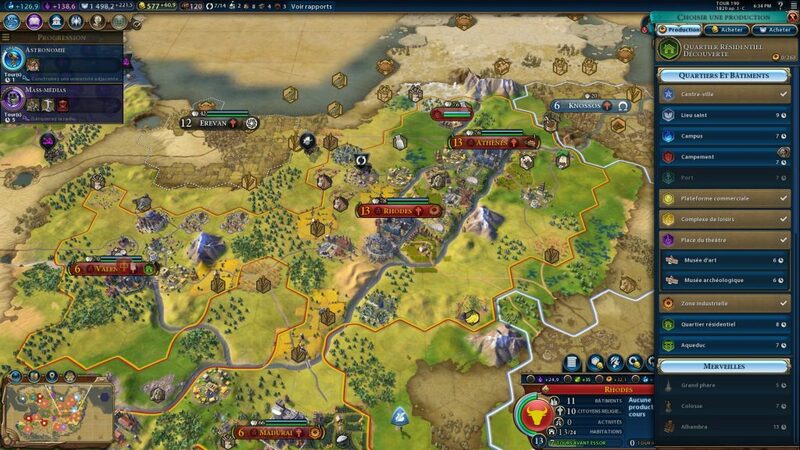 The latest opus, Civilization 6, which was launched in 2016, sold for above 2 millions copies during the first 6 months of its release. The franchise, which champions the turn-based strategy game design, could be described as some kind of chess game. 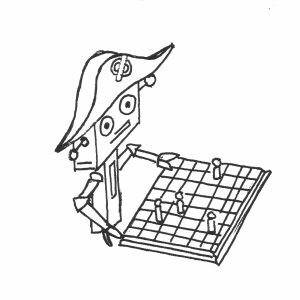 A very very complex chess game that relies on an even more complex artificial intelligence. And this is what makes it an amazing benchmark for all similar artificial intelligence applications. To keep it short, the game entitles the player to drive a “Civilization” from antiquity to space age. You are playing against others civilizations (players) and your goal is to overwhelm competitors in various fields (science, diplomacy, military power, culture…). The game, which is kind of a nerd thing due to its complexity, requires deep strategic thinking, planning based on partial information, chess-like very precise tactical micro-management and even risk management due to the high randomness implied. The learning curve is steep and simply mastering the rules is already long, unlike in chess or go, where the rules are understood in 5 minutes. Finally, when playing against humans you have to take into account psychology. Looks way too complex ? Don’t worry the computer feels the same. I am sure you already get why I am comparing this to a whole bunch of other modern AI potential applications, including my own’s favorite, financial advisory & investment. I will not go too long onto the game itself as this is not my topic. My focus here shall be the artificial intelligence used by the computer for non human players. And especially the last one designed, the one driving the computer players in the 6th opus, supposedly the more advanced one. So what about it ? How does it work ? It it any good ? To be clear the artificial intelligence design in the game is very professional. The game industry has for long learned how to design good AIs for their games, as it significantly raises their interest and lifespan. They do have strong experience in it, and the Civilization franchise has even more, and even more specific. They did design it 6 times ! The game budget was NOT small. The franchise is now what the game industry calls a AAA game which means it is the gaming equivalent of a blockbuster. So they did hire a very experienced and fully dedicated team of AI engineers who worked on it all design time. And they did work well, as the AI is capable of understanding and implementing to a certain point all the very complex mechanisms of the game. This is not simple. Kudos to them. They even used more modern technologies of AI optimisation, as they used massive computing power to improve the AI through, yet not deep learning based on deep neural networks, but through numerous supervised iterations of the game. The computer was basically playing itself and humans all the design time in order to improve its ability. …but it is still weak. Am I sure of this? How can I tell ? To explain myself I need to go into how difficulty levels work in the game. When starting a game, the player can choose between 8 difficulty levels. The AI engineer’s dream would be to design a AI that actually scales its ability according to this level. But this is of course not possible. They (and this is perfectly understandable) designed the best AI they could and scaled the difficulty with various advantages (i.e. more easy rules) given to computer players. This sounds understandable. But the problem is this : the difficulty level where the AI does not have any artificial advantages (i.e. cheats) over humans is… the lowest! And everyone, yes everyone is able to beat this very simple level. You learn the rules, maybe lose one time doing it, then it is over the AI lags you. Despite all the hard and competent work they did put into it, they did not manage to get the AI strong enough to beat barely above novice players. The average player plays at level between 4 and 6 where the AI gets very large bonuses, which means the AI still needs to cheat massively to keep up. Even at the highest levels where the computer is like starting a 100 meters race 50 meters in front of humans, a lot of players actually manage to beat it (I don’t let’s be honest…). Finally, and unexpectedly, the game AI is the weaker when competing with humans at the tactical micro-management (chess-like part of the game). This is disturbing as this is the very field it is supposed to brute force compute a win against humans, like AI did in chess or go, so why can’t it do it here ? How can this AI weakness be explained ? In a pathfinding algorithm (“computer go from point A to point B”), the heuristic could be as simple as the distance left up to the end of the path. In more classical games like chess you could define the heuristic as a mix between the comparison in pieces left on both sides, their respective positions and the recent moves of the opponent (it already gets more complex as you see…). Well you get it, it is very hard to find a good model for this kind of complex problems. And randomness, not even mentioning psychology, makes it even harder. My point is : in complex problems like Civilization we don’t really know how we, humans, beat the artificial intelligence so it is very difficult to model it. To make the game artificial intelligence “learn” either with traditional simulations or deep learning algorithms you need a lot of data. A LOT. This is a design period problem. AlphaGo for instance needed a couple of years to get slowly up to its level with humans by playing them and itself all day long. And it was “only” playing GO, where computing outcomes is quite fast (the computer can play a single game against himself very quickly). So : even if the underlying model is good, a long time is needed to prove that it is, and there is no certitude in it. The more complex the problem, the more time and data is needed to improve the AI, and this is exponential. And Civilization, despite its large budget and design time, met that limit. Finally, and this is the reason why Civilization‘s AI especially lags in the chess like part of the game : in-game computation time is in fact limited when playing with anything else than a super calculator. So the computer cannot “brute force” you, because after waiting 1 minute every 2 minutes in front of your computer you get bored and really quickly drop out. This is a problem as not everyone has a network of super calculators available to solve their little artificial intelligence problem. This means that even if their was a way of creating a strong enough AI to solve such complex a problem as Civilization gaming, it would still requires significant computation power just to use it… something that might not be possible in everyday life. This might change of course, but the Moore’s law is now officially broken and it may take a lot longer than expected. Want to know if artificial intelligence can replace you ? Play games. Remember the movie “War Games” (1983) ? The story focuses on a military supercomputer which homes a artificial intelligence (see how the subject isn’t new… 1983… ) which was taught how to wage nuclear war, was given the sole authorization to do so and, of course, gets rogue. The interesting part of it was : in the movie, the AI, “Joshua”, actually learned by playing games. A lot of them. The idea that games where the perfect training field for AI was already vivid. First, real-life problems imply a lot more randomness than a game of Civilization. Anyone with any experience in equity markets will know that from painful experience. Second, psychology is a lot more influent in real-life, as well as emotions, behavioral biases or human relations, and they are not simple to model, to say the least. Finally, a game’s AI has an overall quite simple objective : winning. “Winning” in real life problems often does not mean much and is very subjective. But it is still sound to assess that the current level of artificial intelligence advancement, can be estimated by its ability at playing complex strategy games. As long as I, very average player, will be able to beat quite easily the Civilization artificial intelligence, I will not be too scared of it being able to replace me as a financial advisor, and I suggest the great majority of other professionals stop panicking about it too. Am I still smarter than a professionally designed robot ? Oh and you will have a lot of fun doing it.